Surveying historic resources lies at the heart of a good preservation program. In Virginia, the statewide survey has been underway for 50-plus years. During that time, more than 250,000 architectural and archaeological properties have been recorded and added to the state’s inventory of historic sites. Developing an accurate and comprehensive inventory is an ongoing process, with thousands of new entries being made each year. During a survey, each property is photographed and mapped on U.S. Geological Survey topographic maps. Information about a building’s style, its construction date, and who built it is accompanied by a detailed architectural description and an evaluation of the relative significance of the property. For archaeological sites, the period from which the site dates, its cultural affiliation, and a detailed description of the attributes of the site and its artifacts are recorded. 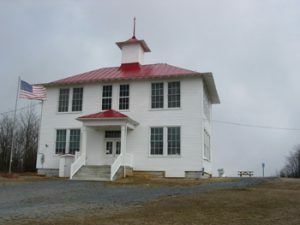 This 1918 school house was documented through a Cost Share survey of the Forestville Historic District in Shenandoah Co., one of the most well-developed and best-preserved mill villages in the northern Shenandoah Valley. Surveys go beyond focusing on traditional “historic landmarks” such as 18th-century plantation houses or grand public buildings, or churches and courthouses. Surveys also include simple vernacular 19th-century dwellings, streetcar suburbs, planned communities, barns and other agricultural structures. They cover bridges, cemeteries, factories, commercial structures, statues, tugboats, and structures associated with space exploration. 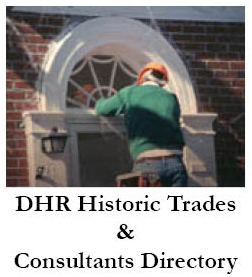 The Department of Historic Resources receives the great majority of its new surveys from two sources: survey projects carried out to fulfill requirements of Section 106 of the National Historic Preservation Act (environmental review), and survey projects undertaken through the department’s Cost Share Program, under DHR’s Survey and Register Division. The Survey and Planning Cost Share Program assists local governments and DHR in developing a cultural resource database for their respective localities. The process also supports DHR’s mission to identify cultural resources statewide and record them in our digital database (VCRIS). Annual funding for Cost Share is limited. Localities must compete to participate in the program. In addition to match funding, Cost Share benefits localities since DHR handles administrative functions for the selected projects. We secure the consultants to do the work, and we pay bills, monitor work, and ensure delivery of the products. The primary products of a survey project are the completed forms, photographs, and the mapping information about historic resources. The projects require a written, illustrated report, and a scripted slide presentation to expand public awareness and education about a locality’s history and resources. These products also help local governments by providing valuable information in their long-range planning activities as well as to develop effective heritage tourism programs. All collected survey data is housed in the department’s electronic computer database, VCRIS. VCRIS provides ready access to resource information for local governments and professional cultural resource management consultants. Since the inception in 1991 of the Survey and Planning Cost Share Program, more than 120 communities have joined DHR to conduct 150-plus projects in every region of the Commonwealth. As a result, each year DHR’s inventory of architectural and archaeological historic resources grows with the addition of more than 4,000 newly recorded properties. 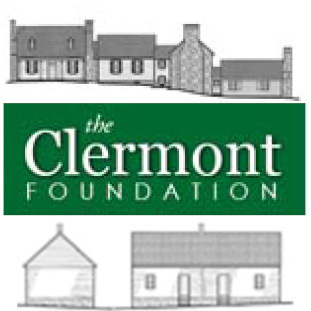 For more information regarding the survey program, contact Blake McDonald at (804) 482-6086.